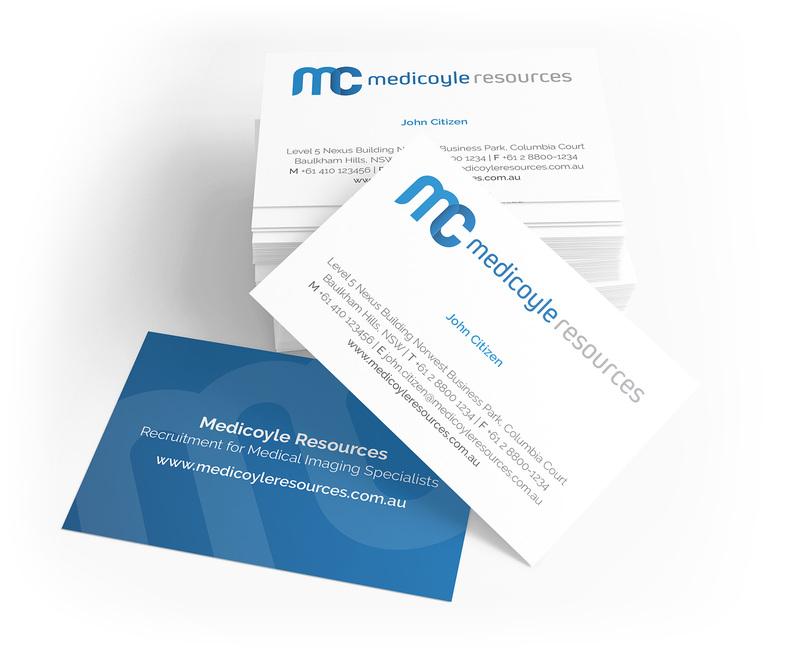 Medicoyle Resources is a new recruitment agency for medical imaging professionals such as Radiographers, Sonographers and MRI Radiographers. The business name is a play on words with “Medicoyle” sounding like “medical” and the founder’s last name being “Coyle”. Two by Zero were engaged to design a logo, stationary and jobs/company website. The objective of the logo communication was two fold. First, it needed to convey that Medicoyle Resources is a medical services company. This was achieved by the use of blues and greys in a clean and controlled design. Second, it needed to communicate a sense of integrity and trust given the business is recruitment. This is symbolised by the use of an interlocking “mc” graphic suggesting that the client and business are entwined, or a partnership.